If this has been 3d printed, the days of resin cast figures are counted!!! Norbert, those figures look absolutely amazing and opens up some really exciting possibilities with dioramas etc. As a WW2 modeller I'd like to see some figures of that era but as Thierry as said above, resin figures must now have a limited shelf life. Great figures - are they really printed? - looking forward to buying some. Hope you're still working on the Super Frelon sets. Excellent, but I don't do Facebook. Please post more here. 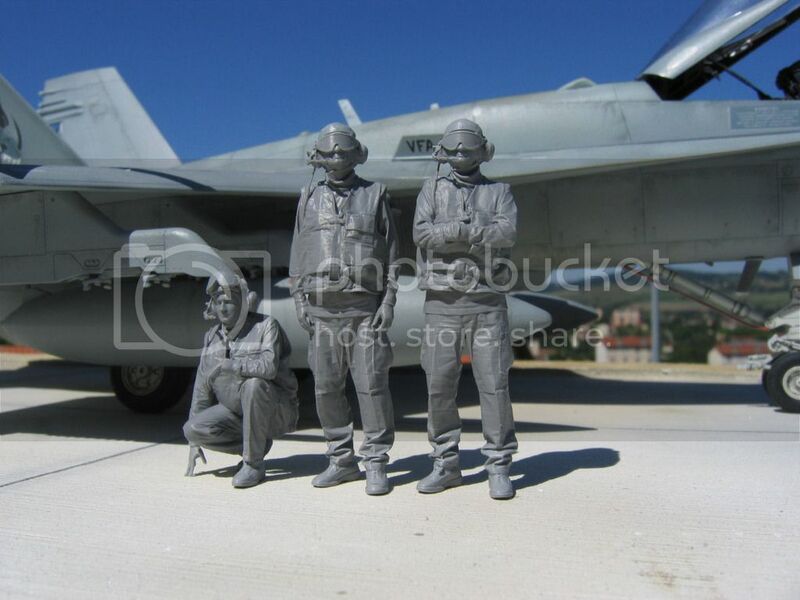 Love the USN ground crew. Excellent resolution Norbert. This development is very exciting. Thanks for taking the time to post the photos. I'm eager to see more. In fact, putting the two scales side by side gives a realistic height disparity. Not everyone is the same size after all. 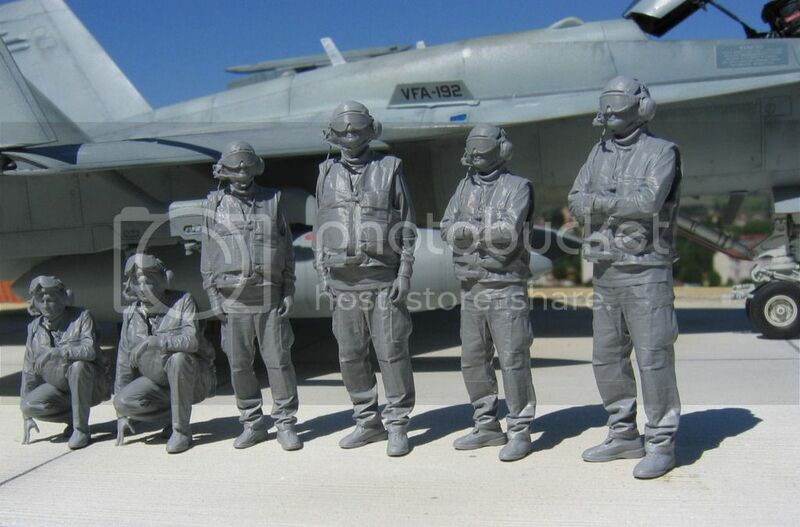 Great poses...Some crew guys working around a plane (hauling hoses or in a pose to, etc) would be great too. the days of resin cast figures are counted!!! mmm, I've some doubts about this......I'm not at all worried. I hope you are not! 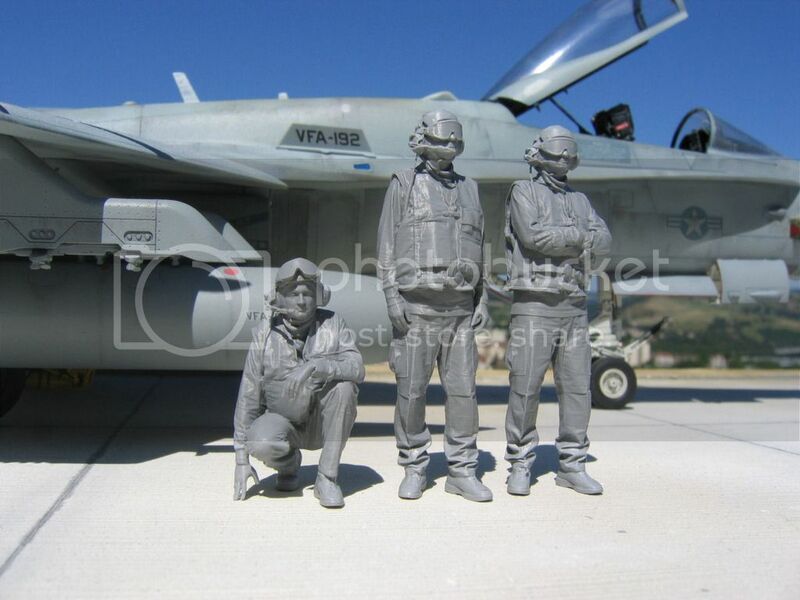 Moreover, 3d scan will not allow us to get a figure of Galland, Boyington or Olds before long! So, sculpters still have work! However, it is obvious that 3d printing will be the most appropriate technology to produce figures and even parts in the following years as this asks for far less manual work. 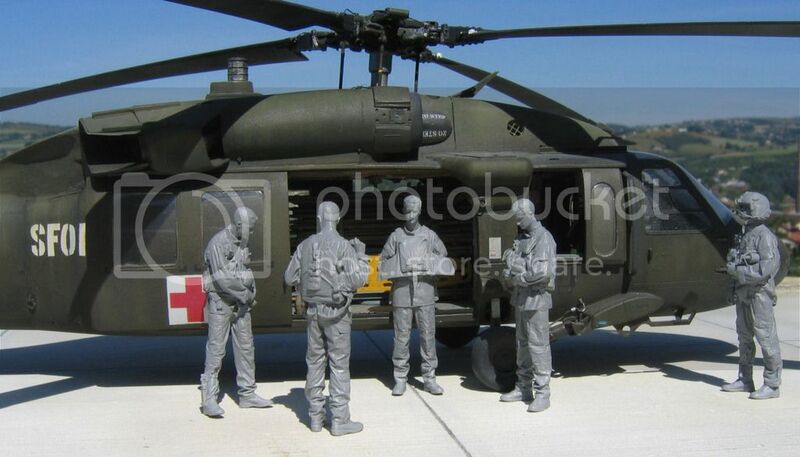 The main problem with the current resin sets is the casting process of the molds and the parts. This is really labour intensive. True for clothes but not for equipment that has a standard size...! Very cool. I can see myself with a set of each Please, share more!! 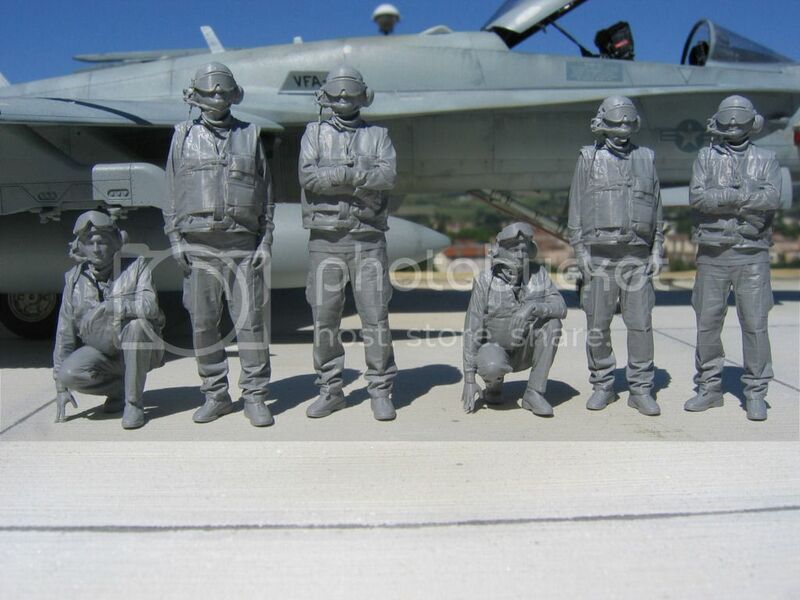 These look great and I would be in for some of these figures in both scales. A nice B-25 or B-17 in flight bomber crew would also be really nice!